Visible Ink Press : What popular action series redefined werewolf legends? What popular action series redefined werewolf legends? The werewolves are called Lycans. 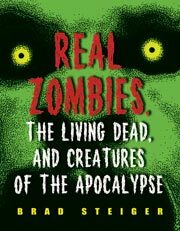 It is considered a supernatural Romeo and Juliet. Before werewolves and vampires graced the screen in the Twilight Saga, they duked it out in 2003's Underworld. The film Underworld quasi-retold the story of Romeo and Juliet, but set it in a world populated by vampires and lycans (werewolves). The story follows a vampire named Selene (Kate Beckinsale), a Death Dealer (a werewolf hunter), who is trying to rid the world of every last lycan. During a hunt, she encounters a pack of lycans, led by Raze (Kevin Grevioux), tracking a human by the name of Michael Corvinus (Scott Speedman). During the course of the film she saves Michael's life, but not before he gets bitten by the leader of the lycans, Lucian (Michael Sheen). As Michael quickly succumbs to the werewolf curse, Selene is forced to make a choice between her loyalty to her coven and its ruthless leader, Viktor (Bill Nighy), or the love of her life. Things go from bad to worse, when it is revealed that Michael is at the heart of a lycan conspiracy to overthrow the vampires by creating the ultimate immortal, a hybrid between vampire and werewolf. Everything eventually reaches its climax with an epic showdown between lycan and vampire in the lycan lair. Michael gets mortally wounded by Kraven, and Selene bites him, in order to save him, thus turning Michael into a hybrid, half-lycan, half-vampire. Together they defeat Viktor and bring a momentary end to the age-long war. Underworld was written by screenwriter Danny McBride, and is based on a story that he and his two friends, Len Wiseman and Kevin Grevioux, developed while at each other's apartments. When it came time to pass the script around Hollywood, the three friends agreed that they would only take an offer that would include allowing Len Wiseman to direct. This would make things difficult, as they received some pretty nice offers from some major studios, such as Universal, but only if Wiseman would step down as director. Being true to each other, they stuck to their guns, and eventually inked a deal with Screen Gems, a subsidiary of Sony Entertainment. Underworld was produced on a small budget of around twenty-two million dollars, but it grossed close to one hundred million, making it a success, and cementing Len Wiseman as a competent director all in one stroke. Underworld was followed with a direct sequel in 2005, aptly named Underworld: Evolution, and a prequel in 2009 called Underworld: Rise of the Lycans. The fourth installment, tentatively titled Underworld 4: New Dawn, was slated for a January 2012 release. 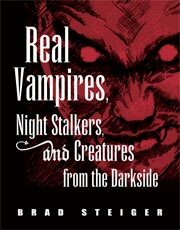 The origins of Underworld's lycans and vampires come from the same source, the Corvinus Strain. Alexander Corvinus was the only survivor of a mysterious virus that wiped out his entire village. Instead of killing Alexander, the virus mutated and changed him into the first immortal. He would later father two sons, William and Marcus. Both sons carried an active version of the virus. 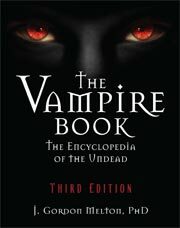 William is bitten by a wolf and becomes the first werewolf and Marcus is bitten by a bat and becomes the first vampire, or so the legend says. 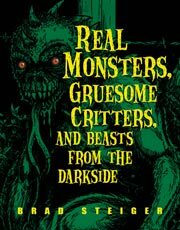 Unlike the lycans populating the world at the time of Underworld's events, William and his offspring couldn't regain their human forms and were totally animalistic. It was for this reason that Marcus saved the life of a dying baron, Viktor, in order to maximize his forces in order to save William and put an end to his creations. After William's exile, Viktor eventually spares the life of a human/werewolf hybrid, Lucian. Lucian's mother had been pregnant at the time she was attacked and turned by one of William's werewolves. Unlike previous werewolves, Lucian had the ability to control his werewolf form and change at will. For this reason, Viktor spared Lucian's life, and used his new mutated werewolf strain to create and enslave a new version of werewolves, now called lycans. 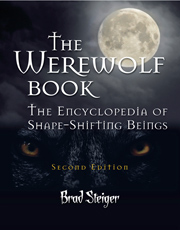 From The Werewolf Book: The Encyclopedia of Shape-Shifting Beings, Second Edition by Brad Steiger, (c) 2012 Visible Ink Press(R) Steiger's homage to the beast within provides meaty facts for the lycanthropic in all of us.